I just got back from a really short break in Scotland where I visited my sister and my nieces and nephews. Although my onward trip went without a hitch my return trip had some challenges. We got delayed in Amsterdam for an hour, first because someone did not board and then due to engine trouble. So you can guess I missed my connecting flight and ended up on a 7-hour layover. Anyway one of the reasons I was so excited to travel was to restock my skincare and do my TK Maxx hunt for accessories. Hoping that I would be able to find some gems. Here are some of the products I was able to get in my mini haul. 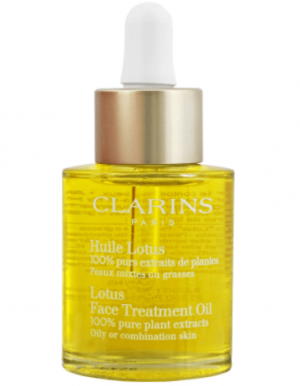 My main goal was to buy Clarins Lotus oil which is a great rebalancing oil for oily combination skin. I ran out a few months ago and have not repurchased because it has been unavailable each time I passed through an airport. It is popular I know, luckily I was finally able to get a bottle at the Abu Dhabi international airport. I have also been on the lookout for a signature scent so I checked out the perfumery to try some out. 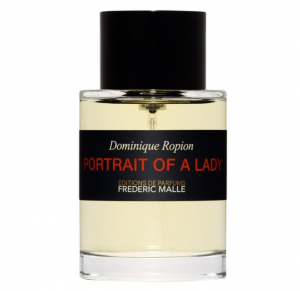 There are two scents, which are mentioned anytime luxury fragrances are discussed, Portrait of a lady by Frederic Malle & SANTAL 33 by Lelabo. Portrait of a Lady was everything I expected and more and I will be getting a bottle in due course. SANTAL 33, on the other hand, was a disappointment and did not work well with my body chemistry. 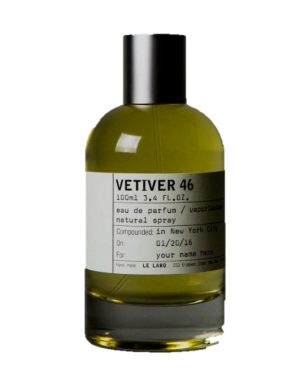 I discovered another fragrance from Lelabo, VETIVER 46 which works better for me and plan to try in the future. 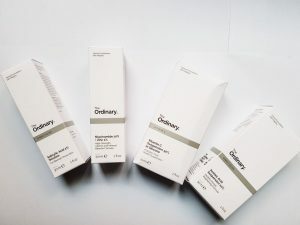 Most of my haul consists of products from The Ordinary. Since the products are so popular I had to buy them from two different websites ASOS and Cult beauty to get the products I wanted. Since my, skin tends to scar easily, I am dealing with the aftermath breakouts – pigmentation. The products I chose tend to reduce breakouts and lighten pigmentation. 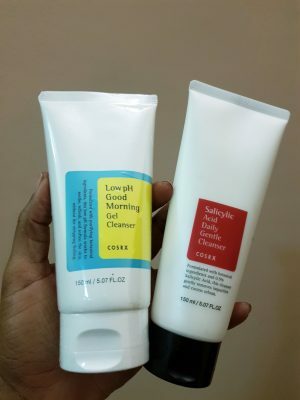 I repurchased products which I had success with in the past and could get the job done. I decided to try the new Vitam C formulation which is silicon-based, so far, I don’t like it. 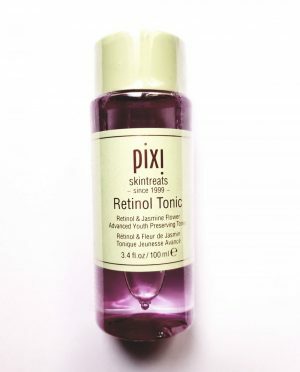 Pixi Beauty – I got their new Retinol tonic which I am super excited to try because retinol is anti-ageing and that is reason enough. The reviews have been so positive and I wanted to see if its performance matches the hype. So watch this space. In late August Beauty Tap had a sale so I stocked up on some of my favourites and had them waiting for me when I arrived and these are the products I chose. COSRX was the winner in this haul because for some reason that was all I bought from beauty tap since my perennial favourite the SU: M 37 Miracle Rose cleansing stick was still out of stock. I also bought the COSRX Natural BHA Skin Returning Emulsion, Natural BHA Skin Returning A-Sol and BHA Blackhead Power Liquid. Beauty Tap also included some free face masks which are shown below. This is one of my absolute favourite places to shop because I find so many gems, from accessories to skincare. 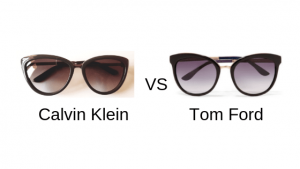 This time was no different, I was able to get a pair of Calvin Klein sunglasses which are an almost exact dupe for the Tom Ford Cat eye Sunglasses worn by Meghan Markle -The Duchess of Sussex a few months ago. Do you agree? I also bought an Osprey wallet in black and a cardholder because mine needed to be changed immediately. The cardholder was necessary because my numerous cards make my wallet bulge and it looks awful. 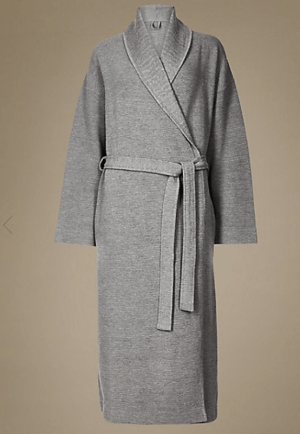 Last but not least I got this luxe-looking black satin dressing gown, sadly my first choice (the grey ) was not available in store and I had neither the time or inclination to order it online so I went with my second choice. 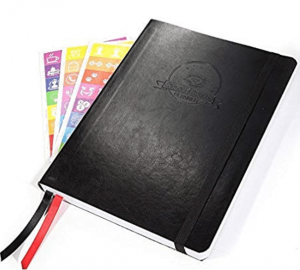 I looked at a number of planners online and finally decided on getting the Law of attraction (LOA) planner. However, there are some others still on my radar if the LOA planner does not completely suit my needs. Using a planner is important as we move into next year because I want to track my goals. It will give me a head start on planning and setting targets, milestones and timelines to help me keep track of my progress. There you have it my mini haul of skincare and accessories. What do you think? which of these products would you buy ? Ohh I love those sunglasses! definitely need to check the cat eye models! !